Exclusive Resorts, the largest luxury destination club, recently announced new prices that come into effect on August 1st 2007. 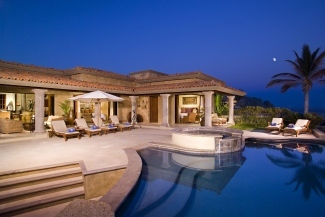 Exclusive Resorts is the largest destination club with over 300 homes available to its more than 2,500 members. The club recently reported that its homes were valued at a total of over $1 billion. The homes have an average value of about $3m and are spread throughout North America, the Caribbean and Europe. The increases of up to $34k represent an average of about a 7% increase on initial membership fees, and the increases in annual dues represent between an 8% and 17% increase. The table below shows the new fees for each membership tier. Several of the clubs have announced price increases over the last few months. The clubs use the announcements to encourage people to join prior to the increase. Quintess raised prices earlier this month. In May, BelleHavens announced a price increase and High Country Club has been increasing its prices for different membership tiers on different dates.